Taiwo Ajao manages an event management company called Skotevent. Her business encompasses event planning, budgeting, decoration, coordination, rentals and general management. She is passionate about events management and is constantly seeking new concepts that will transform the sector in line with international standards and practices. 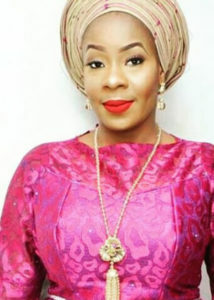 A graduate of Economics from Lagos State University, she has attended several events management workshops in Nigeria and abroad amongst which is a certificate course from the International School of Communications & Events in Dubai, the United Arab Emirates. She is a member of the Institute of Managerial Economics of Nigeria (IMEN). She is an entrepreneur that believes in wealth, job creation and professionalism .